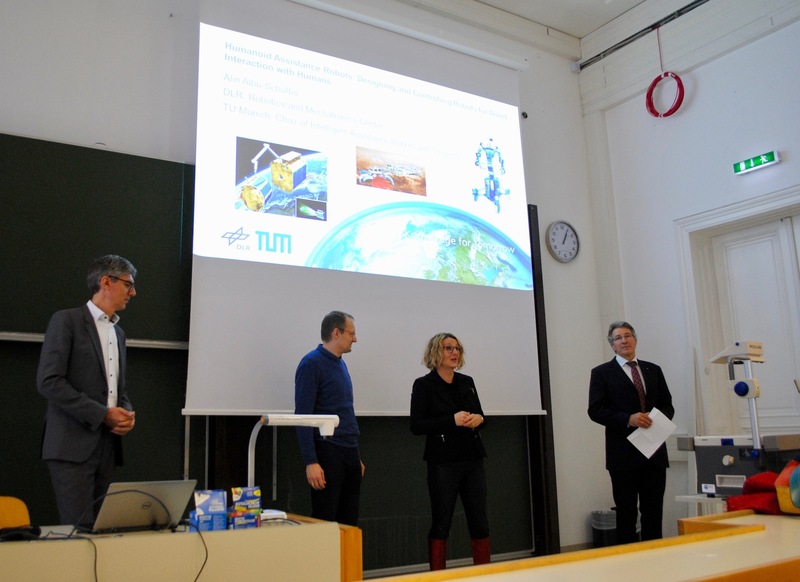 On Friday, 23rd November 2018, the interdisciplinary Doctoral College TrustRobots was officially opened by the Vice Rector for Academic Affairs Prof. Kurt Matyas. Prof. Dr Alin Albu-Schäffer gave a talk called Humanoid Assistance Robots: Designing and Controlling Robots for Direct Interaction with Humans. The talk addressed several implications resulting from the paradigm of putting the humans in the centre of robot design.